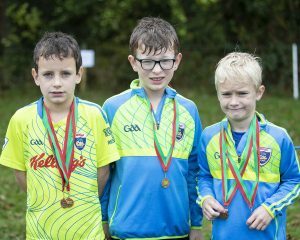 THERE was another very competitive morning of athletics at the Carlow Uneven Age Group and Novice Cross Country Championships in Ballon. There was a large turnout with team and individual titles going to Ardattin, Ballon/Rathoe, St Laurence O’Toole’s, Barrow Valley, Hacketstown and Tinryland. 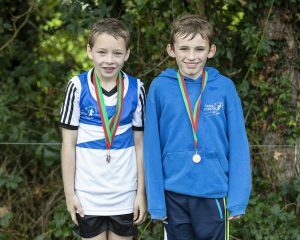 There were some fine young athletes competing on the day with Matthew Jordan of Barrow Valley and Anna Byrne of Hacketstown both leading home large fields in the boys and girls under-9 events respectively. Mikey Byrne of O’Toole’s was an excellent winner in the boys under-11 event, holding off the challenge of team-mate Aaron Meredith who won the boys under-12 event two weeks previously. 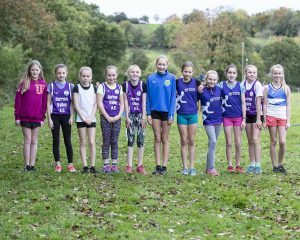 Ada Bambrick of Barrow Valley put in an outstanding run to win the girls under-11 title to add to the under-10 award she won a fortnight before at the same venue. In the boys under-13 race, Dillon Byrne of Hacketstown was a fine individual winner with Caoimhe Byrne of Ardattin an equally impressive first finisher in the girls under-13 event. 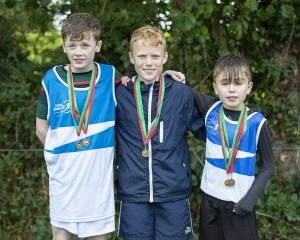 While there were once again depleted fields in the older age group events, there were still notable runs from Tadhg Hutton of O’Toole’s in the boys under-15 event with Aoife Byrne of O’Toole’s in the girls under-15 and team-mate Elsa Doyle in the girls under-17 events taking their respective titles. In the men’s novice event, there was an outstanding run by the experienced Larry Murphy of Tinryland who won his first individual title ahead of a large field. Larry, who has been in fine form in recent months, had to work very hard on the day to overcome the challenges of runner-up Niall Harvey and third-placed Matthew English- Hayden of Ballon Rathoe. 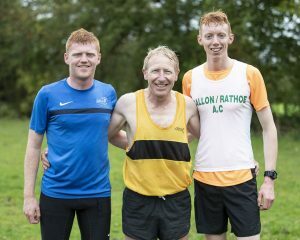 In the team section, Ballon placed well to take a magnificent title with English-Hayden backed up by Damien Malone (5th), Paddy Doyle (7th) and Kevin Gibson (16th). Catherine Doyle of O’Toole’s produced a fine running display to win the ladies novice event with Rosie Conway of Ballon/Rathoe taking the runner-up position ahead of bronze medal winner Catriona Murphy of Barrow Valley. Ballon once again took the team title with Conway backed up by Jane Canavan (4th), Laura Doyle (5th) and Marion Dowling (6th).